IMPORTANT NOTE when connecting two 4p-4p cables together you will end up with a straight wire 1-1 2-2 3-3 4-4. As most 4p-4p Firewire Cable reverse the wires inside the cable like a crossover cable. So you end up with a double reverse which ends up Straight. These also reduce the resistance created from the additional contacts need on the adapters. 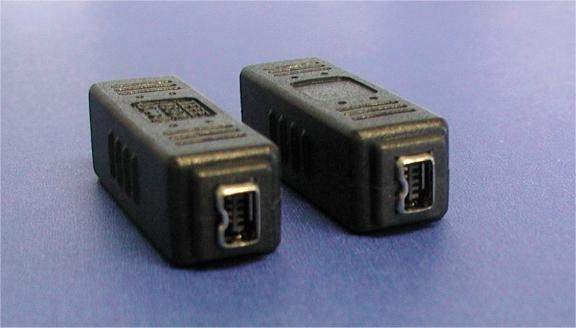 Adapter has two female 4-p 4-Pin Connectors.